colored glitter bird ornaments. vintage inspired bird ornaments for christmas tree. christmas and holiday decoration ideas collection. vintage inspired bird ornaments for christmas tree - christmas tree ornament. our wonderful bird ornament set infuses the holidays with a touch of sophistication from days gone by. 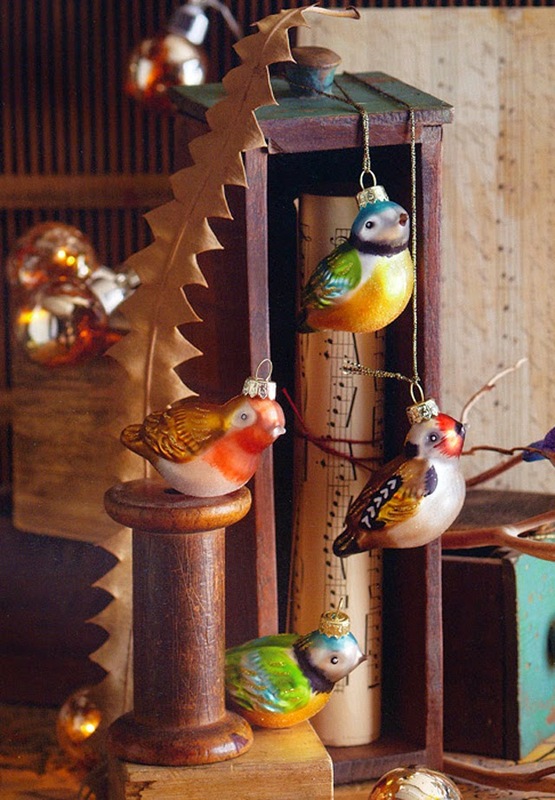 like a treasured antique find, our glass bird tree ornaments offer a nod to tradition. newly made but fashioned from truly special matte-finished glass in the age old tradition for the look of a vintage find. these delicate glass bird tree ornaments are finished by hand and reflect light beautifully. offered in a palette of exquisite colors inspired by vintage glass bird ornaments of yesteryear. display a single set of 6 or purchase several sets for a truly spectacular display with vintage appeal. each ornament measures 4" tall. ornaments arrive ready for installation with loops to attach to any tree.